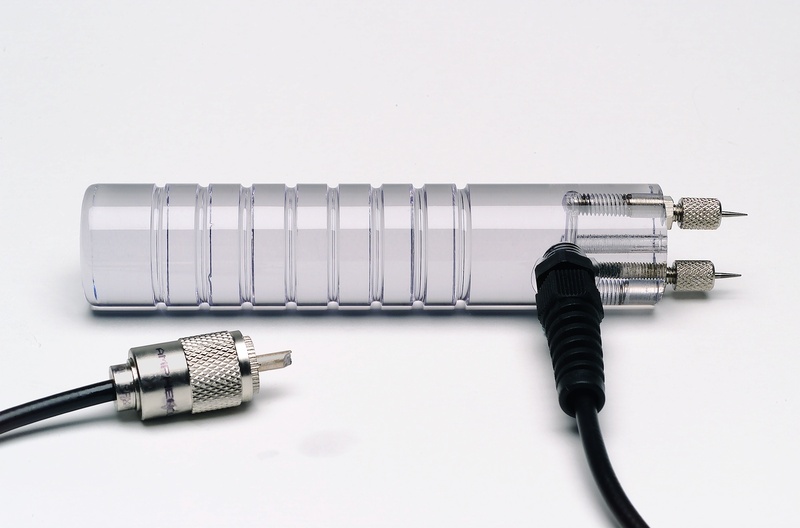 An alternate to the 496 pin for the 26-ES, the 1849 is a 1 ½” insulated pin with 1/2" penetration. The 1849 is suitable for wood up to 2" thick. Uninsulated pin and retainer with 5/16" penetration. 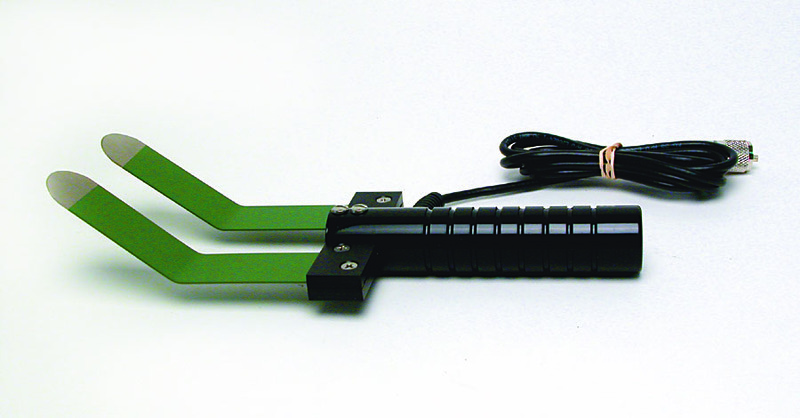 Standard on all meters with built-in pins and the 2-E and 4-E electrodes. Used on wood up to 6/4 (1 ½”), concrete and gypsum. Retainer used to hold contact pins in place. Used with #608 and #608/001. 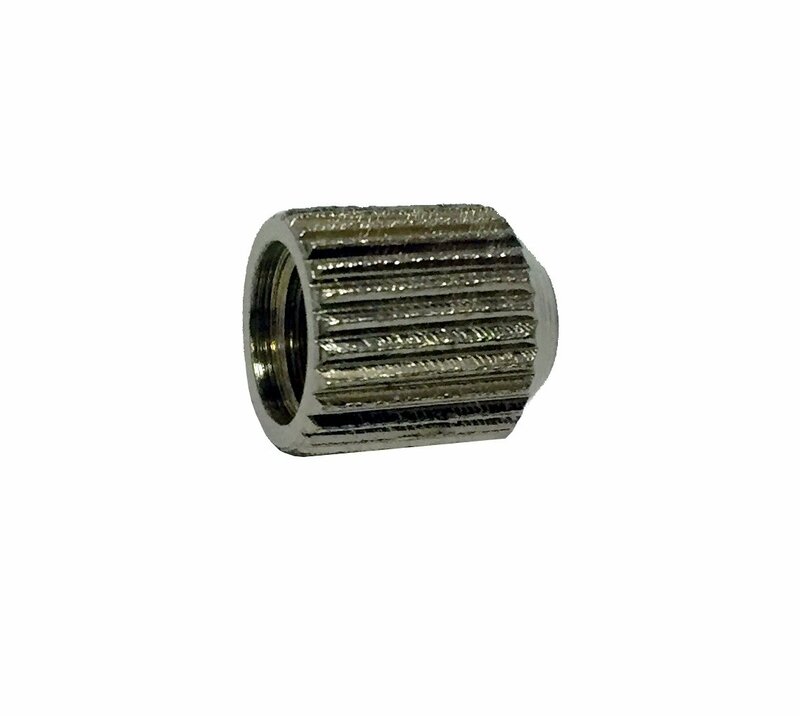 Available in packs of 4 as 305RET-0021/4. 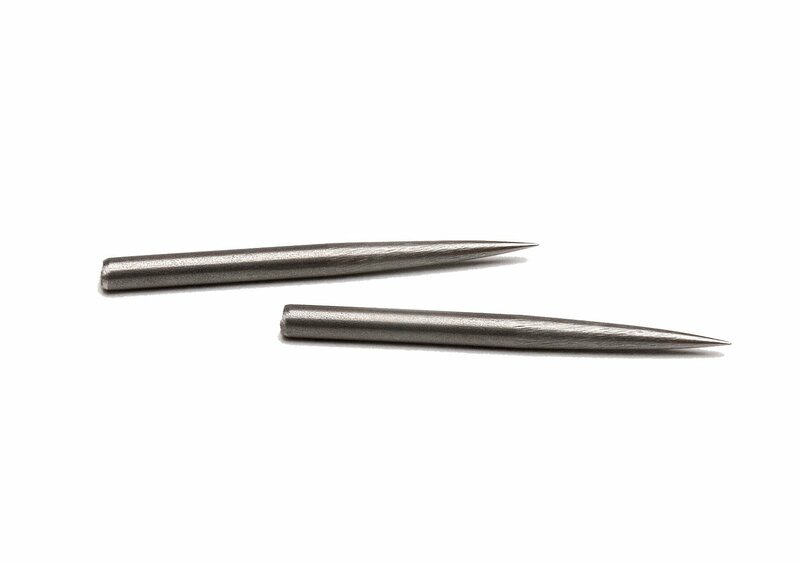 496 contact pins are insulated except at the tips, and measure 2" overall with 1 1/8" penetration. Standard on the 26-ES, and can be used to check wood up to 5" thick. Retainer used to hold contact pins in place. 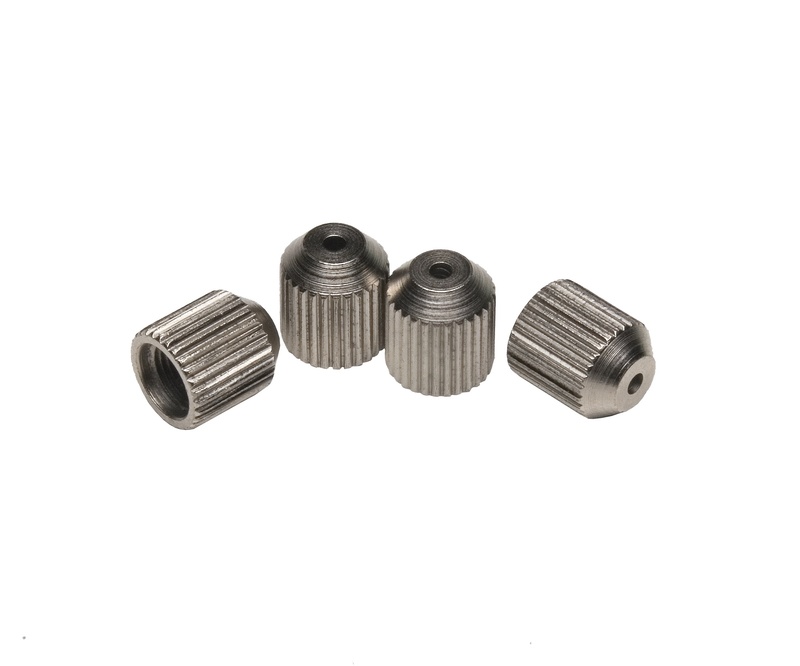 Used with #496, #1849, and #A-111 pins. Available in packs of 4 as 632/4. 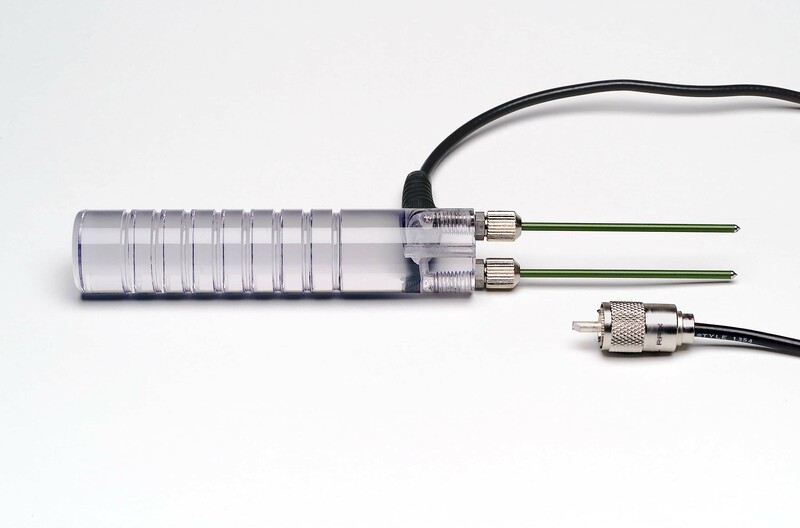 Another alternative to the 496, the A-111 is an uninsulated contact pin measures 1 7/16” and has 1/2" penetration. 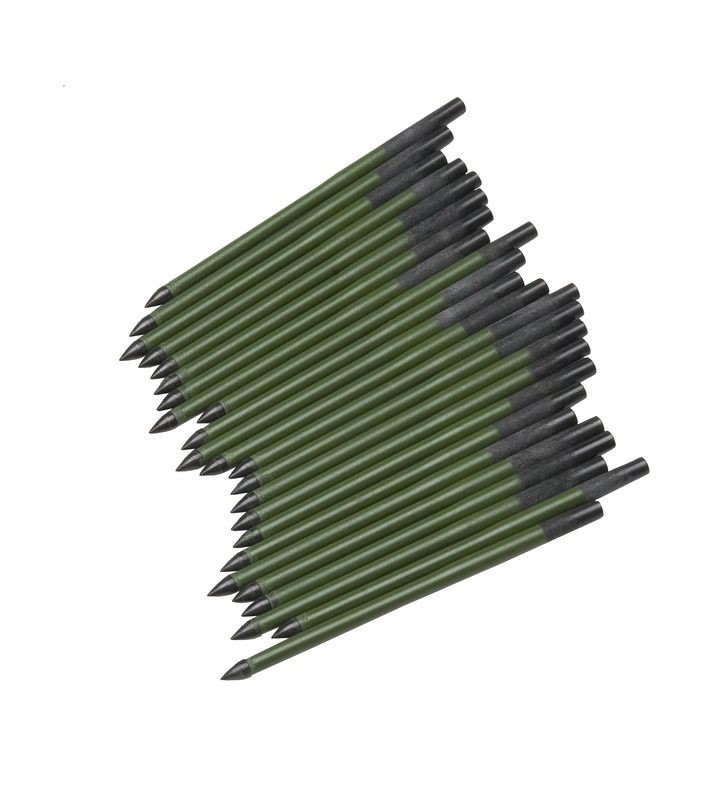 The A-111 is compatible with both the 26-ES and the 22-E, and its tapered point makes it easier to penetrate into hard surfaces. Can be used on wood up to 2" thick. Makes pilot holes in stucco to reduce pin damage. 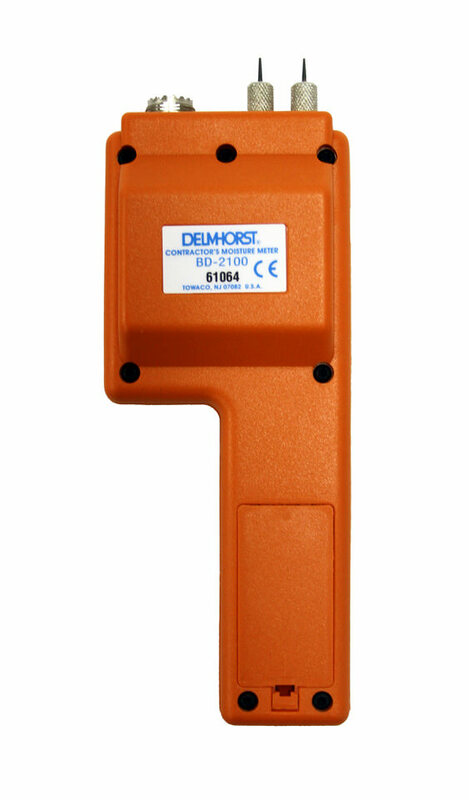 Moisture content standards are great for verifying that your Delmhorst moisture meter is in calibration. The MCS-1 can be used on any meter with a wood scale. With two electrical resistance values (12% and 22%) to test your meter against, you can be sure that your readings will stand up to the strictest standards of accuracy. 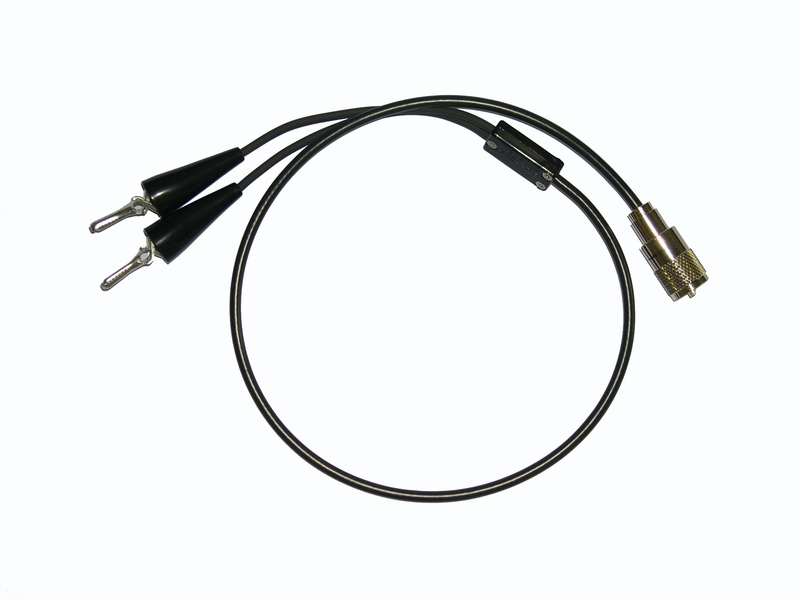 The MCS-1 is also available with a letter of certification traceable to NIST. Flooring installers: Penetrate through flooring to plywood sub-floor, or concrete. 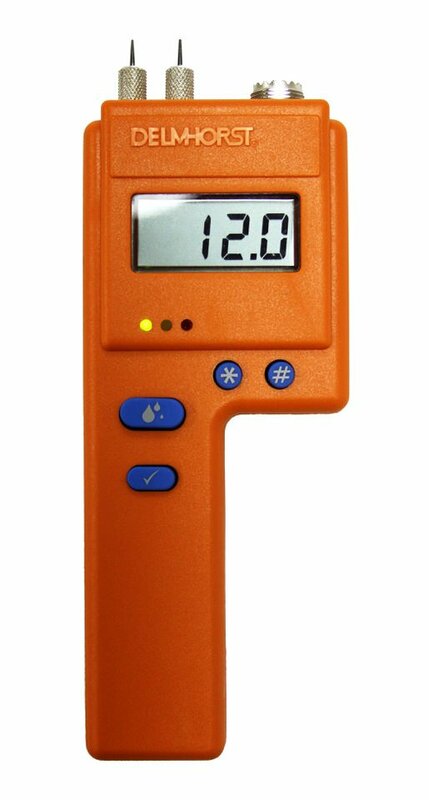 Dry kiln operators: Identify moisture gradients which helps to identify the drying pattern. Furniture manufacturers and craftsmen: Easily check high density hardwood that short pins are unable to penetrate. 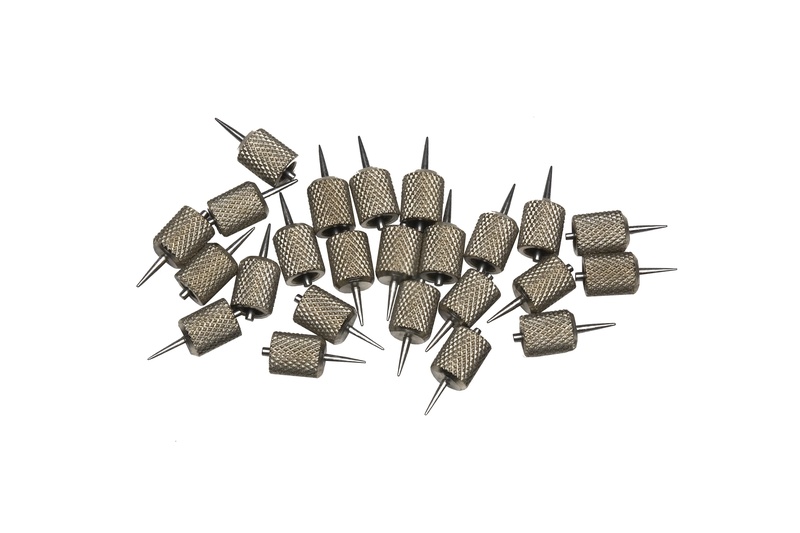 The 608 pins that come with the 21-E are insulated, except at the tips, and can reach a maximum penetration of 3-1/4". Great for use on roofs, insulation, or EIFS. 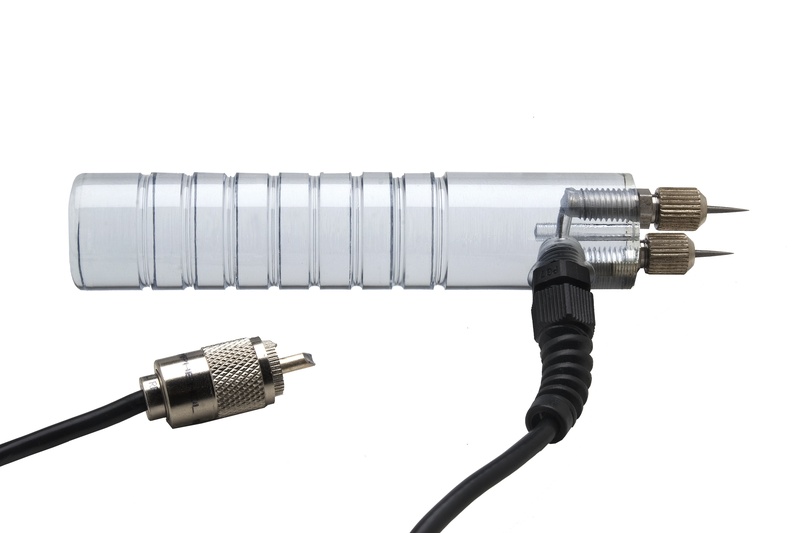 21-E is also available as the 21-E/001 with 6" penetration, or as the 21-ET with a tapped handle for hard to reach areas. 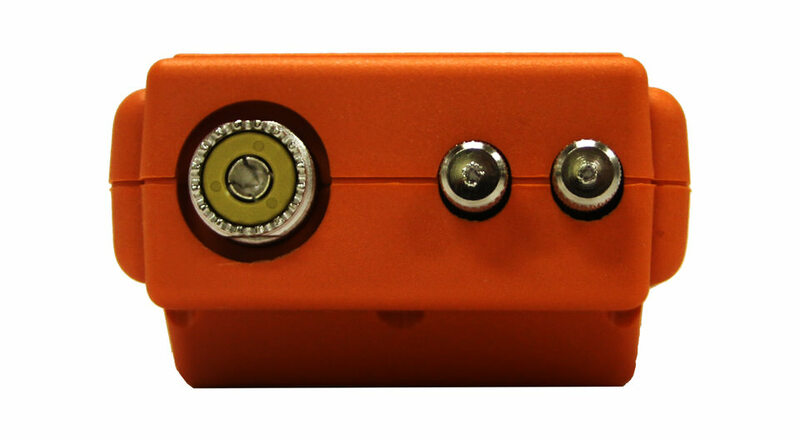 Comes with A-111 uninsulated contact pins for 1 1/2" penetration. For use on plaster, masonry and wood. 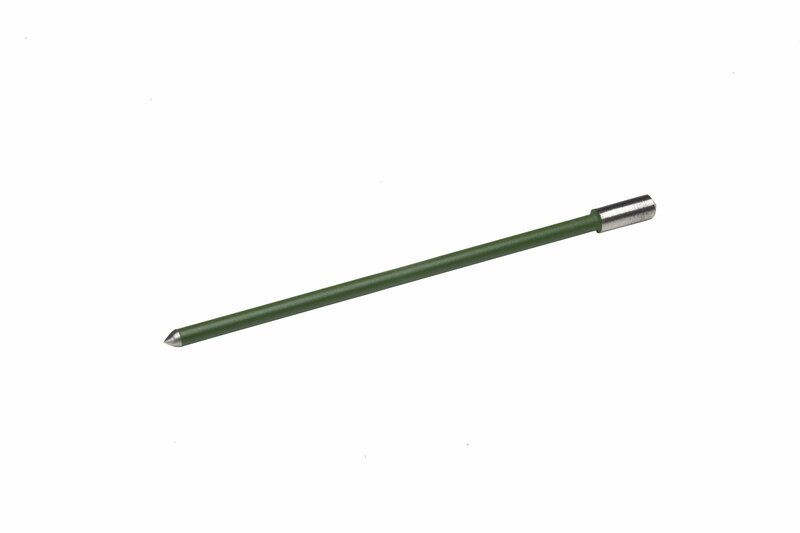 Will also accept 496, insulated pins; 1 1/16” penetration. 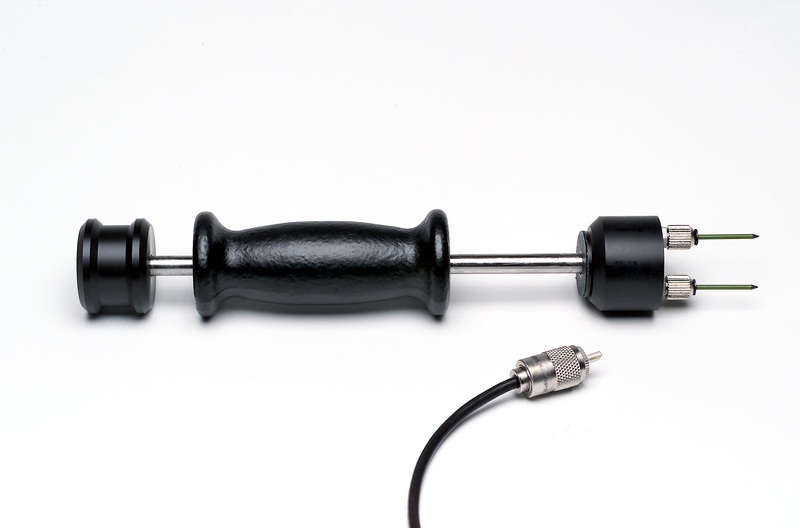 22-E is also available as the 22-ET with a tapped handle for hard to reach areas. 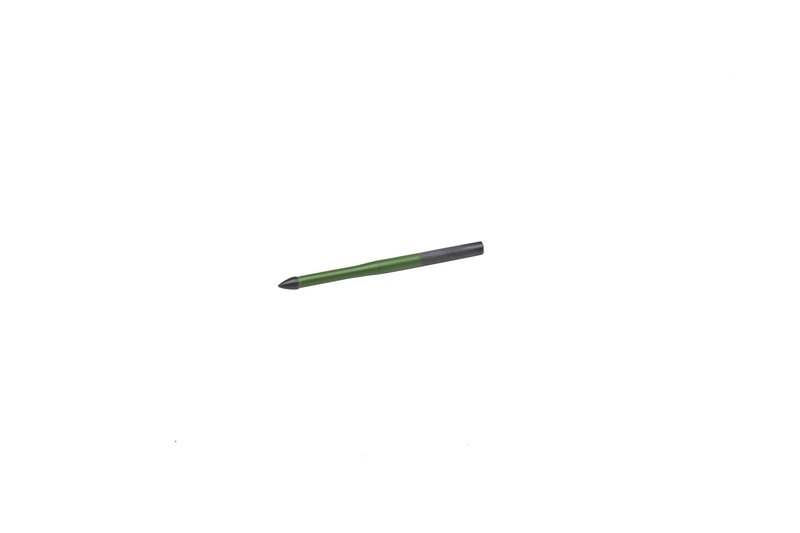 Features two 5'' long blades, bent to a 35° angle, and coated in Teflon except for the tips. Great for checking behind trim and baseboard molding. 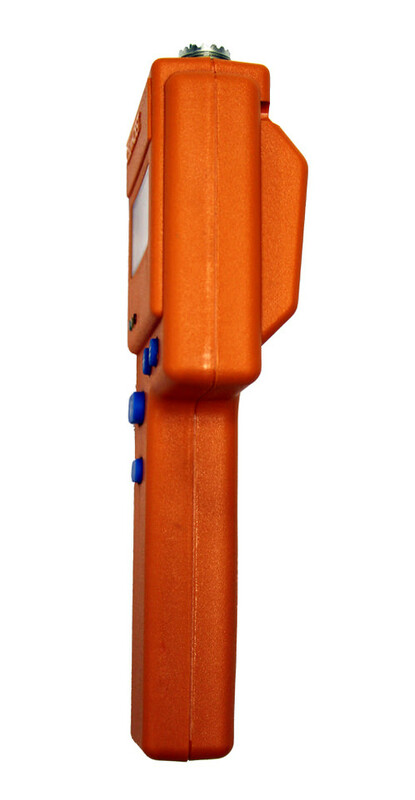 Makes moisture testing in hard to reach places a breeze. 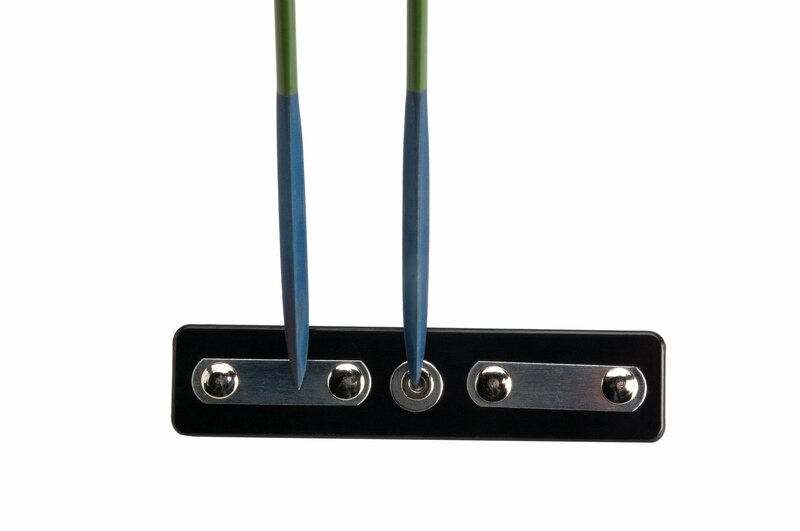 Simply attach any length metal “probe” to the alligator clips on the end of the 2-E/Split and test behind toe kicks, through drywall, or any other area where our standard length contacts pins aren’t long enough.